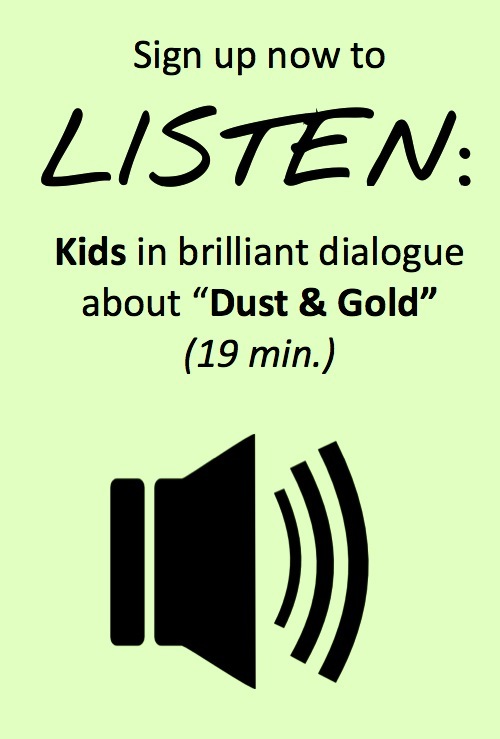 Your powerful words were the inspiration for this project and my transformation as a teacher. 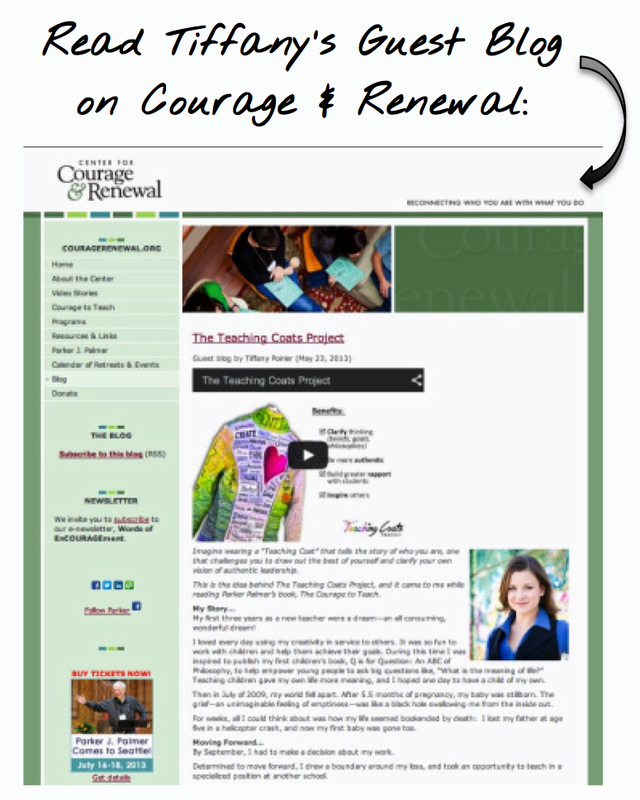 Reading The Courage to Teach helped me to recognize and give voice to my “teacher within”, to draw courage, and to feel renewal. Thank you from the bottom of my heart. 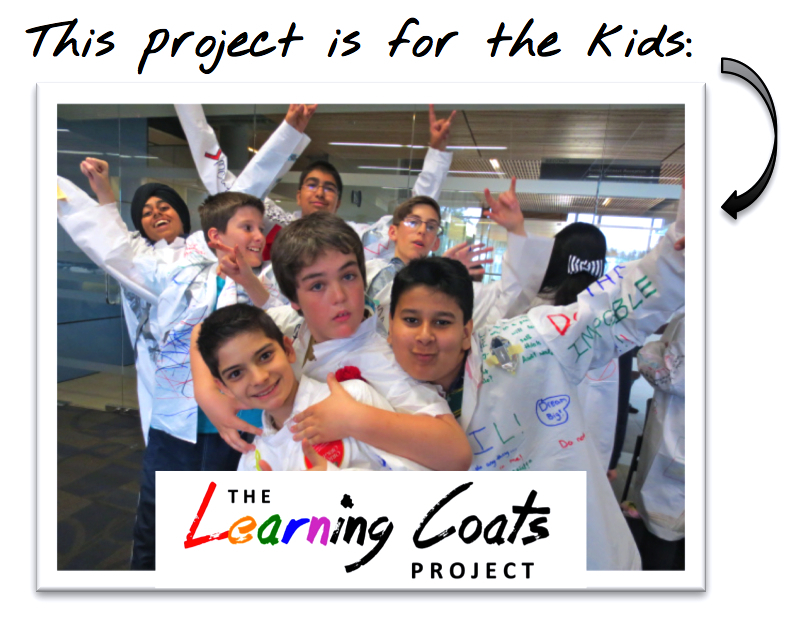 To those who have or will explore this project by making a Teaching Coat, by offering advice or reflection on the process, or by sharing the project with others: thank you for helping bring this idea into reality. It is an honour to explore, learn, and create alongside with you. Ah, was I the one who spoke too much, not enough, or in the wrong way? Was I the one who made you pull your hair out? Did I push you for answers you could not give? Did I test you? Did I let you know you made a difference in my life? Thank you. Thank you for your patience, for sharing the world with me as you see it, and for the infinite gifts you gave without even knowing that they pour through you in who you are. To all my students, including the ones who speak too much, not enough or in the wrong way, to the ones who make me pull my hair out and who push me for answers I cannot give, to the ones who test me: I thank you. You teach me more than you know and give me peace and faith in a beautiful future. I am fulfilled because of this great priviledge to work with you. You are a part of me…your words, your actions, your ways of being. I thank you for being you, and for your patience, love and time. What we share are my greatest treasures.